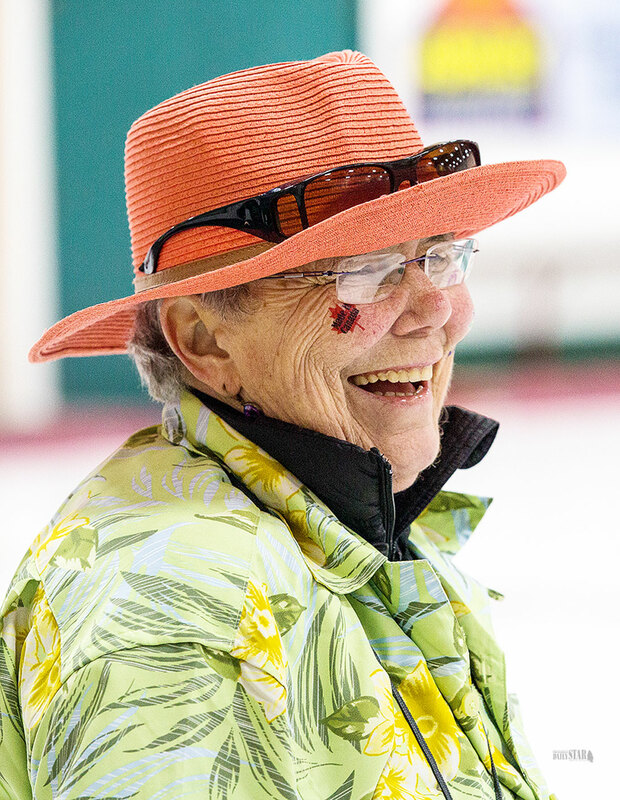 DECKED OUT – Nancy Kowalyshen flashes a smile during the Tacky Tourist Women’s Bonspiel. SWEEP! 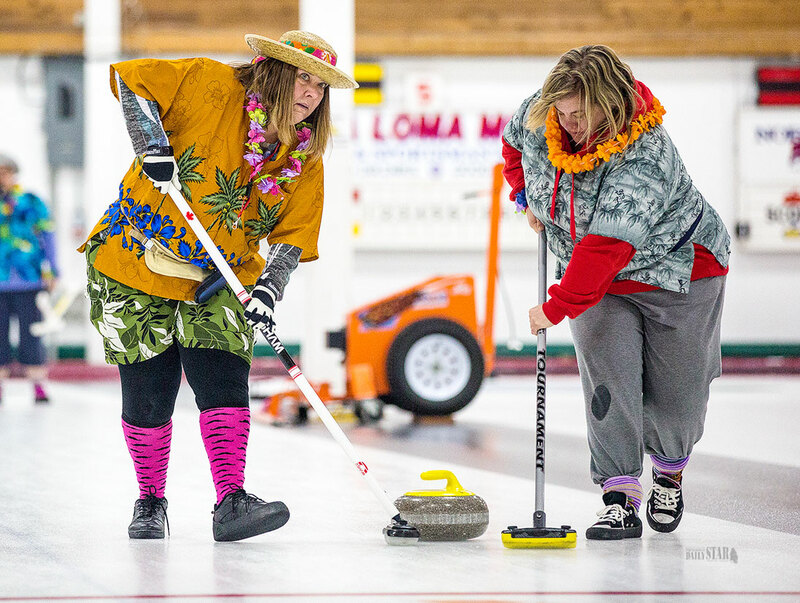 – Sheri Lynne Lintick and Kym Sheppard sweep a rock down the ice at the Tacky Tourist Women’s Bonspiel. 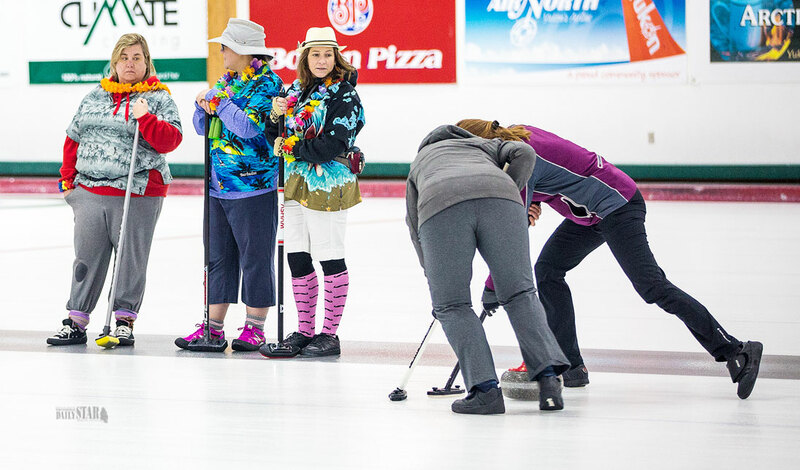 SIDELINE CHAT – From left, Kym Sheppard, Tammy Sehn, and Leilah Cross wait for the other team’s shot during the Tacky Tourist Women's Bonspiel. 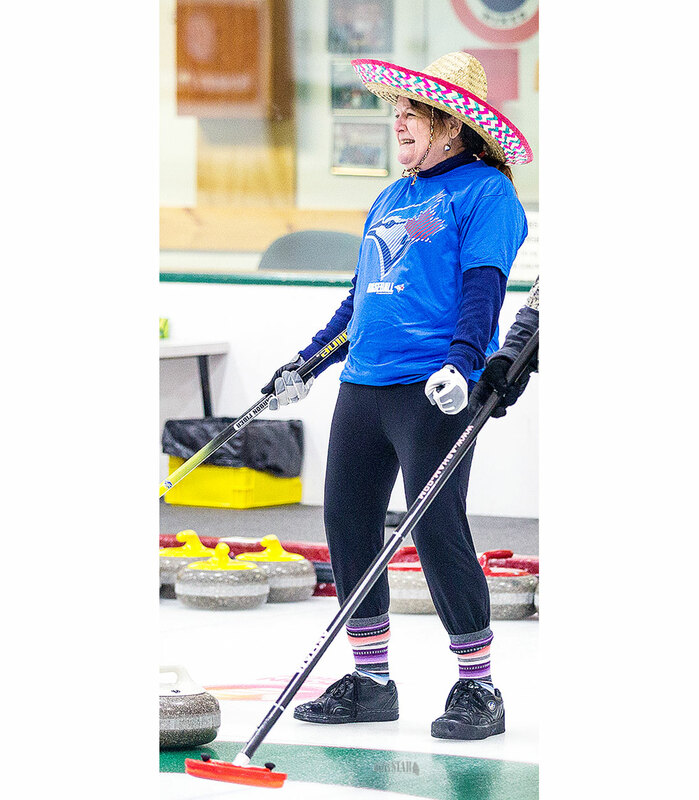 ELATION – Sue Harding reacts to a shot during the Whitehorse Curling Club’s Tacky Tourist Women’s Bonspiel last Saturday. The two-day event saw about eight teams participate. 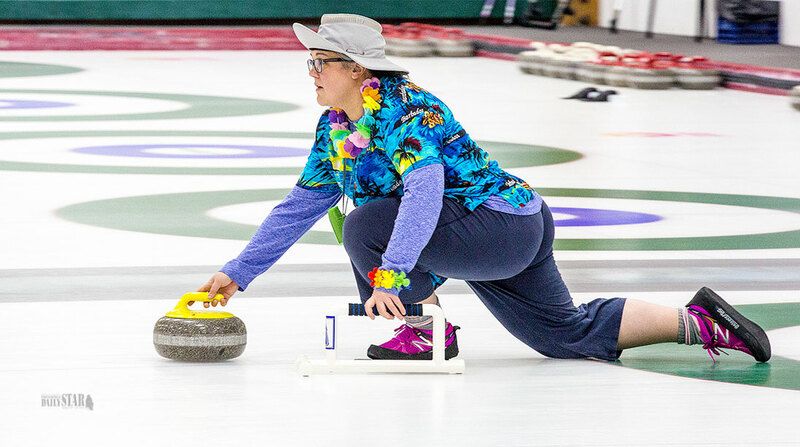 LINING IT UP – Tammy Sehn takes a shot during the Whitehorse Curling Club’s Tacky Tourist Women’s Bonspiel last Saturday. Shots from this past weekend.